This past September, Saudi women learned that starting in 2018 they would have the right to drive for the first time. In Saudi Arabia’s conservative patriarchy, where all women are still required to have a male guardian, the right to drive was seen as unfitting for women because of reasons ranging from women’s lack of intellect to the unsuitability of women mixing with men in public. “Allowing women to drive contributes to the downfall of the society,” a top cleric once said to justify the driving ban, according to the New York Times. 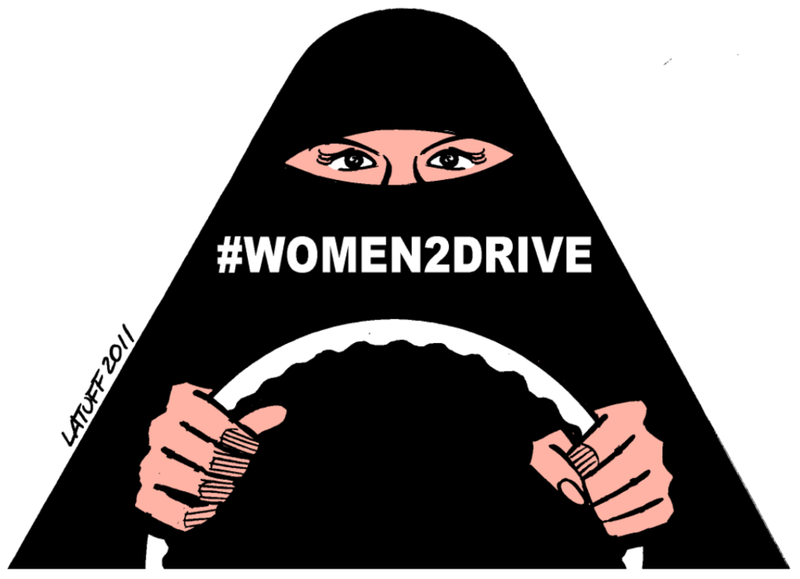 Sheikh Saleh Al-Loheidan, another cleric in Saudi Arabia, once claimed that "If a woman drives a car, it could have a negative physiological impact ... Medical studies show that it would automatically affect a woman's ovaries and that it pushes the pelvis upward." As of this year, they are the only country in the world where women can not drive. Beyond simple convenience, the right to drive liberates women from the constant supervision of a male party. “We protested the ban on driving by women because its effects went far beyond cars and roads. The ban meant the loss of the most basic form of dignity and control over our lives,” Manal Al-Sharif, a prominent activist against the ban, wrote in an article for the New York Times. However, with the populace for the most part still supporting the sharp line drawn between men and women, the new decree is hardly a sudden change in Saudi Arabia’s attitude towards gender equality. Instead, decree is an attempt to improve the political and economic status of the kingdom in the world as it actively attempts to silence women’s voices rather than magnifying them. The lift of the ban is closely tied to the ban’s high-profile nature, which goes back to a protest organized in 1990 by four dozen women possessing foreign licenses in the city of Riyadh where they drove for 30 minutes. All of the protesters and their husbands had their travel rights removed for a year and many who help government positions lost their jobs. These women were labeled perennially as “drivers”, a title that ensured workplace and societal discrimination against the protesters to this day. Fawziah al-Bakr, a participant in the protests told The New York Times that she heard someone shout “I want to dig a hole to bury you all!” during the protest. The lift on the driving ban opens up many more opportunities for economic and political alliances with other major powers as the ban had long been frowned upon in most of the world. When the Saudi king visited the UK, the queen of England purposefully took him for a drive a form of dissent. Before President Obama visited Saudi Arabia, Human Rights Watch wrote him an open letter imploring him to press harder for human rights reform, with a focus on women’s driving rights. Thus, the lift serves as a better political move than removing the male guardianship laws, which is much more significant but lesser-known. Counterintuitively, the Saudi government is using this as a way to silence women activists. After the decree was announced, the royal court made calls to several prominent women activists, warning them against speaking positively or negatively against the change. “I’m happy for women in Saudi Arabia who will not have to suffer from the ban anymore. But right now, I’m not happy—because this came at the price of silencing women activists,” Hala Al-Dosari, a Saudi scholar at Harvard’s Radcliffe Institute, said in an interview with The Atlantic. The royal court is insisting that it was purely a symbol of the monarchy’s advancement in order to prevent further advocacy for change. “In order to gain an alliance with international powers, they need to normalize certain issues—but not too much, not to the point that it’s transforming the structure that lends them power,” said Dosari. “It will never help you if you come seeking our support. We will never issue anything until we’re instructed by the king, ” she said a cleric once told her after she sought his support for the activists. Along with discouraging further protest, the lift on the ban is also in accordance with the Vision 2030 plan of the Crown Prince of Saudi Arabia, Mohammed bin Salman, which encourages investment in the kingdom to minimize reliance on the vast oil resources of the country. “Allowing women to drive will result in saving at least 500,000 jobs held by foreign drivers and subsequent economic and social benefits for the nation,” billionaire Prince Al Waleed Bin Talal said in a tweet as early as 2013. Already, the responsibility that the royal court and Saudi society in general puts on women to remain isolated from men reveals how the any sort of infraction in society is already more likely to be blamed on women than men. With the new decree, they are also at risk of being blamed for any problems that occur while they are driving. True change in the plight of Saudi women is not one that can come from a simple and sudden change in law. Rather, it needs to be a slow and thorough change in cultural values. Even now, while the kingdom granted women the right to drive, they are also denying them the right to speak. Saudi society needs to first truly value women as equals to men before allowing them to drive to ensure that their new rights are purely rights rather than a convenient policy for the court that in the worst case makes it easier for women to be blamed.